The Pastor’s Conference of the International Pastor’s and Partner’s Conference 2018 has been literally soaring on Eagles wings with Pastor Chris living up to promise in breaking mental ‘gates of brass’ with his insightful expositions. 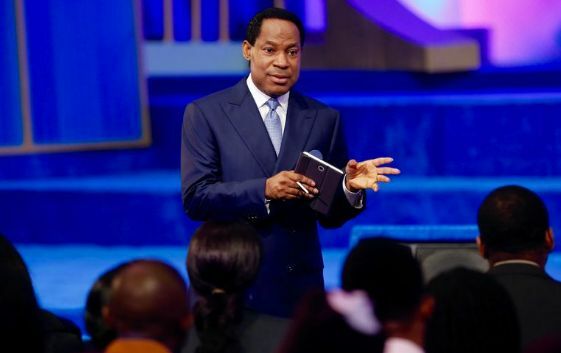 Preaching on the importance of having an ownership mentality, he told the delegates that the world belongs to them by virtue of being connected to Abraham and his seed because God willed the ownership of this world to his children, he said. Concluding, Pastor informed the delegates on the importance of talking into their lives. According to him, “in your Christian life, your talking takes you there. What are you? You’re new creatures. You’re indescribable because of your constantly changing glory. It’s about fighting the fight of faith with your body which is given to you as a gift of trust. You resemble your words. What you say is who you are in the spirit. See yourselves as a new creature of beauty and excellence” he added.